Boulder is the perfect host city to explore new ideas and debate contentious issues from race and religion to history and philosophy. The fourth edition of the ZEE JLF at Boulder will bring leading authors from around the world to host live discussions of today's most important topics. ZEE JLF at Boulder celebrates diversity, words, and ideas as authors and the community engage in conversation about the critical issues of our times. The three-day festival will feature more than 40 sessions given by nearly 70 authors who will join in conversation with the community as they present new takes on current events. Attendees from throughout the U.S. and across the globe will experience uplifting celebration of the mind and heart, as writers from across the Americas, Asia, Africa, and Europe engage in provocative conversations. Topics of conversations will span life and society, feminism, racism, economics, the arts, equity, freedom, and the care of our planet. Margo Jefferson, Pulitzer Prize winner, New Yorker writer, award winning author of Negroland: A Memoir and a new book released this year, On Michael Jackson, about the life and work of the famed pop star. Sabrina Dhawan, Associate Professor and the Area Head of Screenwriting at the Tisch School of the Arts, New York University, author of the screenplay for the classic Bollywood film, Monsoon Wedding. Kiran Desai, an Indian author whose novel The Inheritance of Loss won the 2006 Man Booker Prize and the National Book Critics Circle Fiction Award. Nassim Nicholas Taleb, author of the INCERTO, a 5-Volume essay on the philosophical and practical aspects of uncertainty, that includes The Black Swan, Fooled by Randomness, and Antifragile. Molly Crabapple, a New York-based graphic novelist and artist whose new book, Brothers of the Gun, a Memoir of the Syrian War, was published this spring. Ngugi wa Thiong'o, a Kenyan-born novelist whose critical works about neo-colonial Kenya and the Moi dictatorship have been written from prison, in exile, and on the run, in hopes of bringing the harsh issues of his homeland to light. Priyamvada Natarajan, an India-born professor in the departments of Astronomy and Physics at Yale University whose newest novel is Mapping the Heavens: The Radical Scientific Ideas That Reveal the Cosmos. Maya Jasanoff, a New York-born Harvard Professor whose book, The Dawn Watch: Joseph Conrad in a Global World, examines the dynamics of modern globalization through the life and times of the novelist Joseph Conrad. Simon Winchester, a British-American author and journalist whose newest book, The Perfectionist: How Precision Engineers Created the Modern World, was published this spring. Preti Taneja, London-based debut novelist of We That Are Young, a modern-day King Lear that bursts with energy and fierce, beautifully measured rage. Chigozie Obioma, Nigerian-born writer and Assistant Professor of Literature and Creative Writing at the University of Nebraska-Lincoln, author of The Fisherman. Sharmila Sen, Harvard University Press executive editor. [John Freeman, former president of the National Book Critics Circle and editor of Granta, editor of Tales of Two Americas: Stories of Inequality in a Divided Nation, which features essays by Anthony Doerr, Roxane Gay, and Ann Patchett. Ruby Lal, Professor of South Asian Studies in the Department of Middle Eastern and South Asian Studies at Emory University, author of Empress: The Astonishing Reign of Nur Tahan. Anne Waldman, Boulder native and internationally recognized and acclaimed poet. 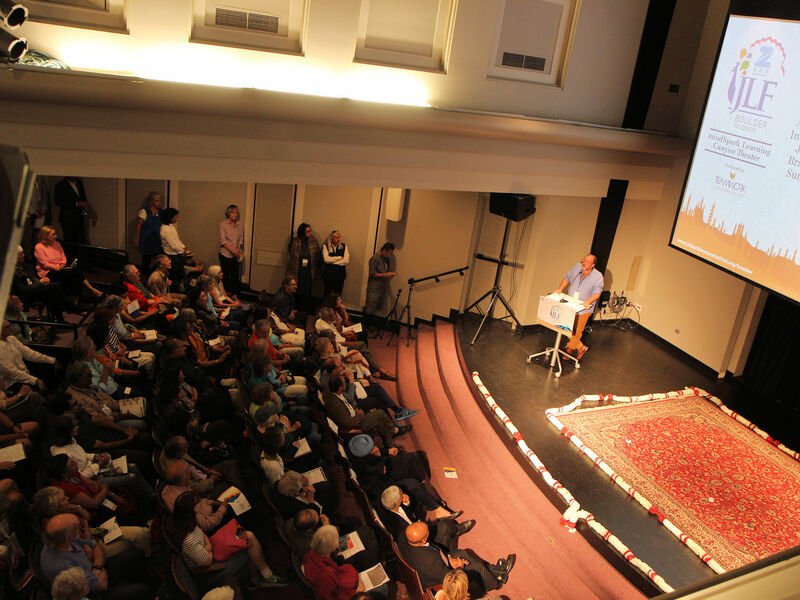 During the Festival, writers inspire each other, while the audience gets to listen in on their conversations about relevant topics; genuine discussions rather than a book reading or performance. The U.S. audience gets to experience what's on the minds of people throughout the world, bringing new perspectives and insights. The weekend will also feature world-themed workshops and musical entertainment for all ages, including poet laureate Jovan Mays who teaches poetry in grade schools to inspire the next generation of authors. 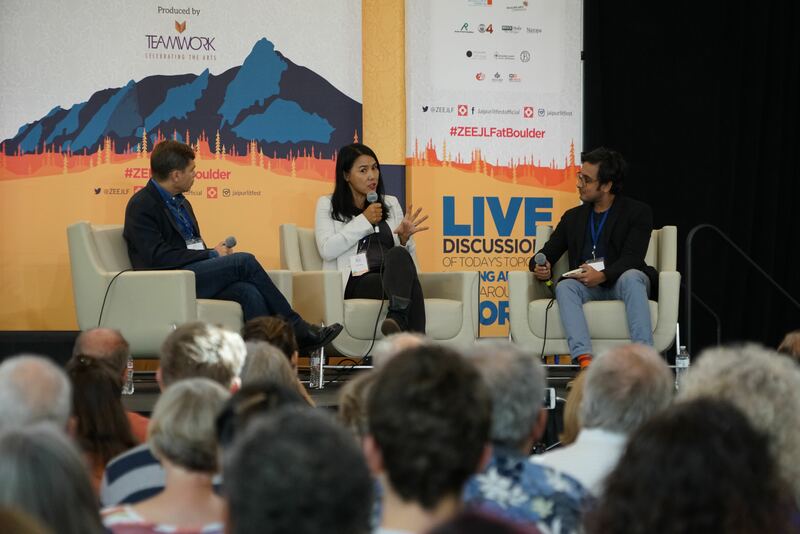 "Boulder is the perfect host city to explore new ideas and debate contentious issues from race and religion to history and philosophy," said Sanjoy K. Roy, Festival Producer and Managing Director of Teamwork Arts. "We were delighted with the success of the past three years and look forward to another exciting Festival in September." More details and confirmed speakers will be announced at https://jaipurliteraturefestival.org/boulder. A festival of literature from all over the world, ZEE JLF at Boulder is free and accessible to everyone, rich with words and ideas, and invites audiences to explore the human experience through the reflections and imaginations of distinguished contemporary authors from across the globe. Voted the U.S.' brainiest (more PhDs per capita than any other U.S. city) happiest and foodiest city, the Festival was wildly successful in its first three years in Boulder. Festival organizers expect more than 3,500 people in attendance this year from throughout the country and around the world. The iconic ZEE Jaipur Literature Festival takes place every January in the Pink city of Jaipur as writers, publishers, literature-lovers, friends, patrons, intellectuals, influencers, students and the press converge at the Diggi Palace for five days of a stunning celebration of literature, oral and performing arts, books and ideas, debate and dialogue. ZEE JLF at Boulder takes place at the Boulder Public Library, 1001 Arapahoe Ave. There is no admission fee, but attendees must register. For more information, confirmed speakers, and registration, visit https://jaipurliteraturefestival.org/boulder.